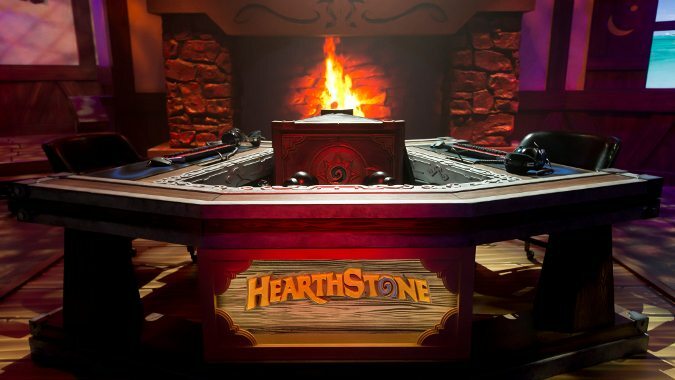 Earlier today, the Hearthstone esports team announced a new competition pitting certain European countries against each other. Hot on the heels of the announcement for the return of Overwatch‘s nationalist showcase, the Overwatch World Cup, the Hearthstone Nationals will feature eight countries in its inaugural run. If you are a national of one of those eight countries — France, Germany, Italy, Poland, Russia, Spain, or the United Kingdom — you can register now on the official site. For the purposes of this competition it looks like “national” means you have a photo ID from that nation. In general it looks nearly identical to the usual HCT circuit. Indeed, hopefuls earn points by playing in ranked mode and HCT events and are then seeded to a ladder — pretty much exactly how HCT functions. The one difference is, it’s walled off to people from these particular countries. I do find it a bit funny that the final Swiss-style brackets of this European competition on June 23 and 24 will be devoid of players from Switzerland. The brackets seem to be country-centric at the moment — all the people on the Polish bracket facing off against one another, with the Polish winner coming out on top. I don’t see any mention of the countries’ victors going head to head with each other, but that definitely doesn’t rule things out. Also unclear is why they didn’t continue with the popular Global Games format from last year. Considering the countries represented here, this should be a thrilling series regardless. The Russian bracket in particular is probably going to be juicy. Sign ups are open now, so if you’re eligible, sign up and get playing ranked!